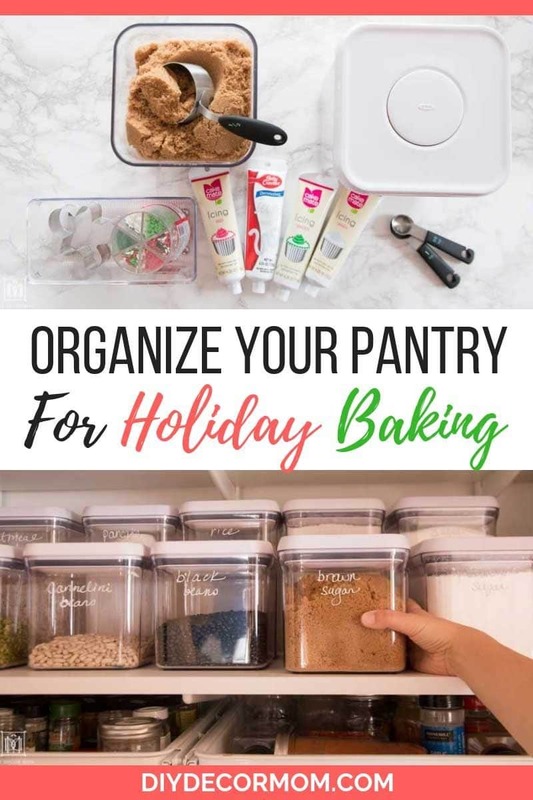 How to Organize a Pantry with Deep Shelves: With the holidays coming up and all the holiday baking, I knew it was high time to organize our pantry so we could easily find our baking supplies–and stop buying duplicate baking ingredients because they were lost on our deep shelves! With our new organized pantry, baking is so much easier! *This post is sponsored by The Container Store but all thoughts and opinions are mine alone. In anticipation of the crazy holiday season, we renovated our disorganized pantry. Now, I have to say that a full-on pantry renovation is not necessary by any means to get your pantry ready for the holidays. We had always wanted to do this pantry renovation, and are so glad we did. 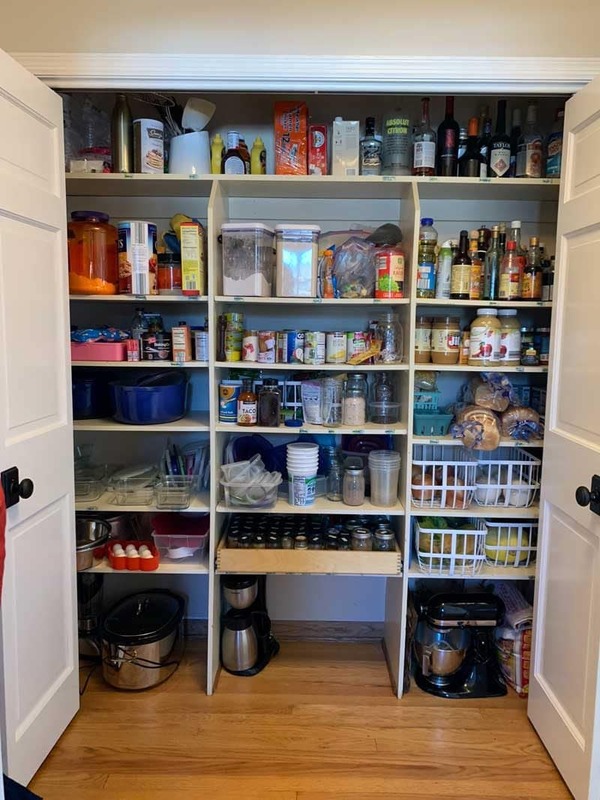 But, I will share a few easy to implement ideas and products that changed our unusable pantry into an organized pantry, and by using these tips and tools, your pantry can be prepped for the holidays as well! Our pantry has always been big, but it’s never been efficient. Over the years, I’d tried to organize it effectively several times–each would yield a temporary mild improvement. The second problem: Childproofing. Anyone with a baby or toddler knows that all the non-baby proof items need to be stored out of reach of children. With our old spice rack, it was drilled into the shelves and there was no moving it. So Brooke would constantly be taking our spice jar after spice jar, dropping it on the floor, and making a gigantic mess! That was when she wasn’t stacking canned goods into towers! With how much extra storage we have now, you would think that we had increased the square footage. Now, half the shelves are empty and 1/6th of the drawers have nothing in them–but, the crazy thing is that we didn’t change the footprint an inch! Utilize the corner spaces with two OXO Lazy Susans. Before, we had all of our cooking oils in the top right corner. But, the shelf was so deep, so high, and so out of reach that I never knew what we had or didn’t have! When we emptied the pantry out, we realized how many duplicates we were storing. You guys, we had FIVE bottles of fish sauce! FISH SAUCE! We don’t even cook with it that often; but, we had five bottles stashed in the corner out of sight! Decant your bulk baking supplies into clearly labeled containers. No more, putting a severeal smaller opened bags of brown sugar in a gallon size sandwich bag! All of our baking supplies (sugar, brown sugar, flour, powdered sugar), and our bulk cooking ingredients (beans, rice, lentils) have a spot front and center. I can see exactly how much we have and don’t have to wonder if we need more. I even added our constantly-in-use breakfast staples like old fashioned oats and a homemade pancake mix into reusable containers so I could monitor their quantities! Put irregularly shaped items into baskets and smaller containers! You guys, I finally have the baking drawer I always wanted! No longer do I have tons of bottles of vanilla extract floating around my shelves, or my Christmas cookie decorations in with the pasta. All of my baking supplies are in one central location and are organized by the type of item: we have decorations and frostings, extracts like Vanilla and Almond, chocolate chips, and even a spot for baking powder, baking soda, and baking cocoa! I have everything I need to whip up holiday cookies in a flash! Put light (kid-friendly) items lower and potentially messy items up high! Our spice drawer is now at the five-foot height, so Brooke can no longer toddle around the house with turmeric in hand. Now, the worst she can do is grab a box of mac and cheese! Believe me, no one is getting hurt if a box of mac and cheese drops! 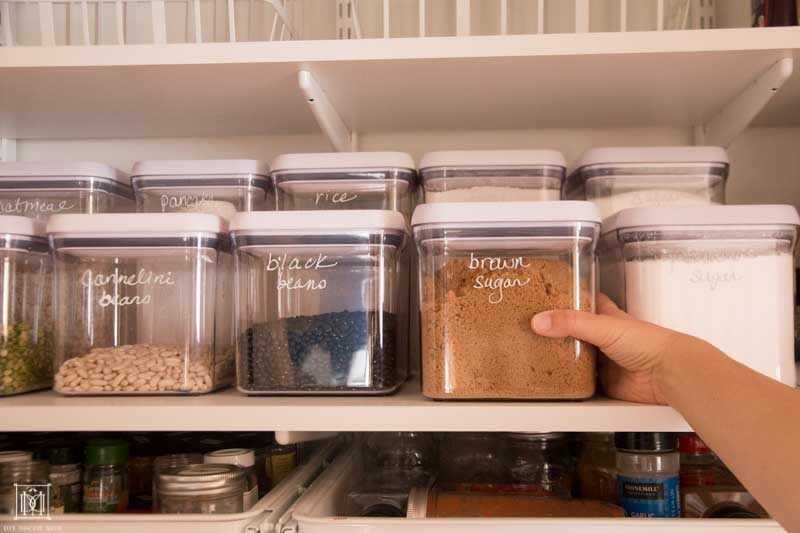 Use clear labeled containers so you can easily see what you have and what you need. 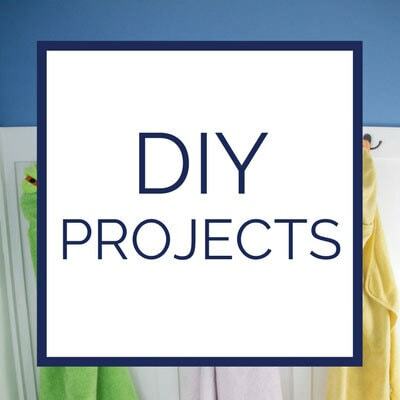 Install pull-out shelves and drawers. If you can’t install drawers, utilize a basket system with items in pull-out baskets! If you are worried about the baskets scuffing up your shelves, use some inexpensive felt pads on the bottom of the basket! Eliminate wasted space: install lazy susans so you can access the deepest corner shelves! Lazy Susans: We installed two of these Lazy Susans in each corner so we could find the seldom-used but necessary ingredients. I also loved these lazy susans you can find there. Basket and drawer organizers: Keep your baskets and drawers organized with smaller containers and organizers. 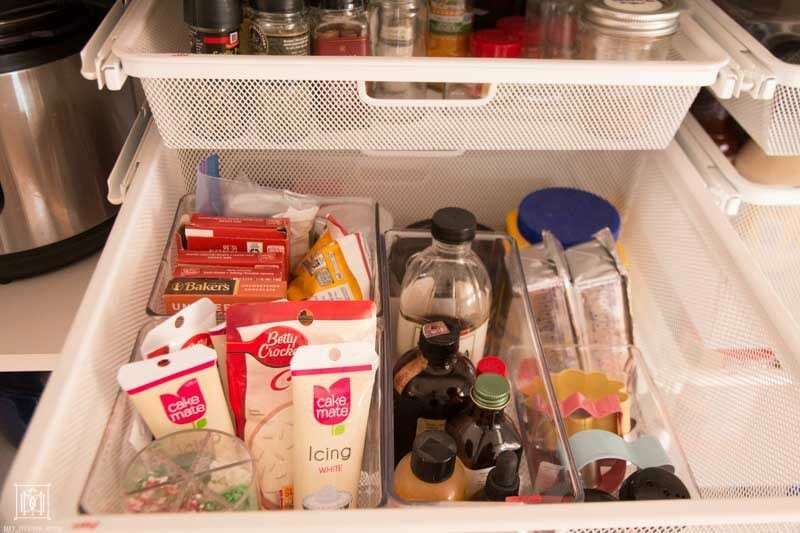 Now, all of our baking supplies are corraled by item-type in our baking drawer–a game changer! Labels: We skipped this but, I think we will install some so guests can easily find what they are looking for. These labels are fantastic and attach directly to the drawer. I used this chalkboard marker to label the bulk food containers! 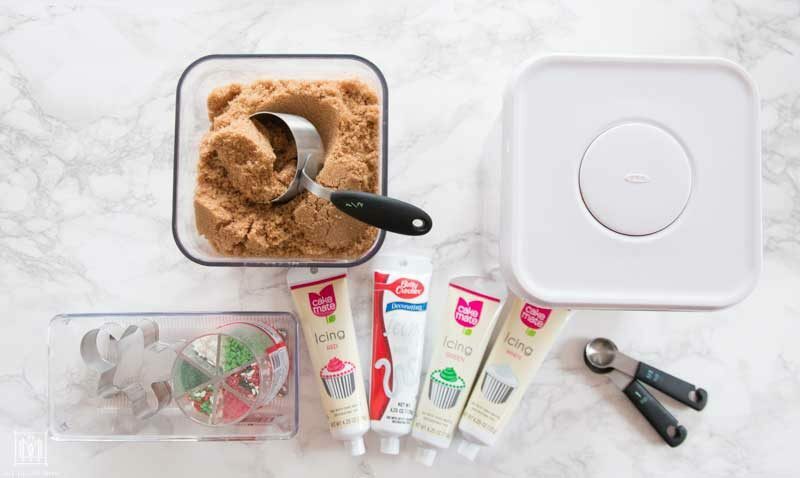 Reusable Containers: These are our favorite food containers for storing all your baking supplies and keeping them fresh! They are suction tight, so you don’t have to worry about anything getting in! 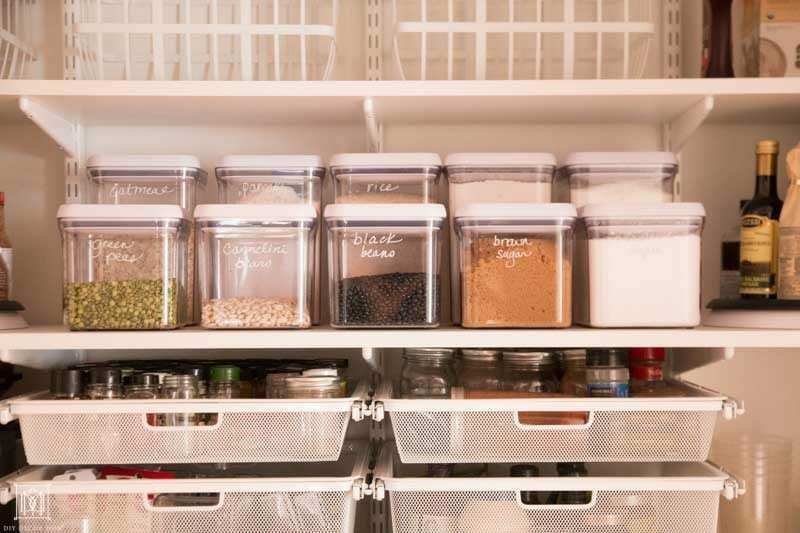 By using clear containers, I can monitor the levels of ingredients and easily add something to my grocery list if I need more. 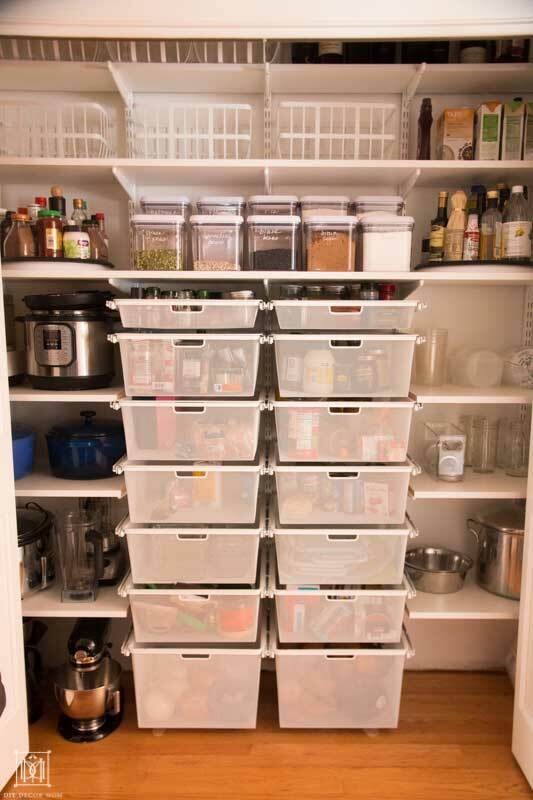 Inventory and eliminate expired products: Take one shelf of your pantry at a time and throw out any expired products. You don’t want to count on using ingredients only to find they are expired when it comes time for cooking! Make a list and check it twice! No, I’m not kidding! How many times did I buy fish sauce more than was necessary? FOUR TIMES! How many bags of brown sugar did I have floating around? THREE! And how many bags of powdered sugar? FOUR! YIKES! That is a lot of wasted money on duplicated ingredients! 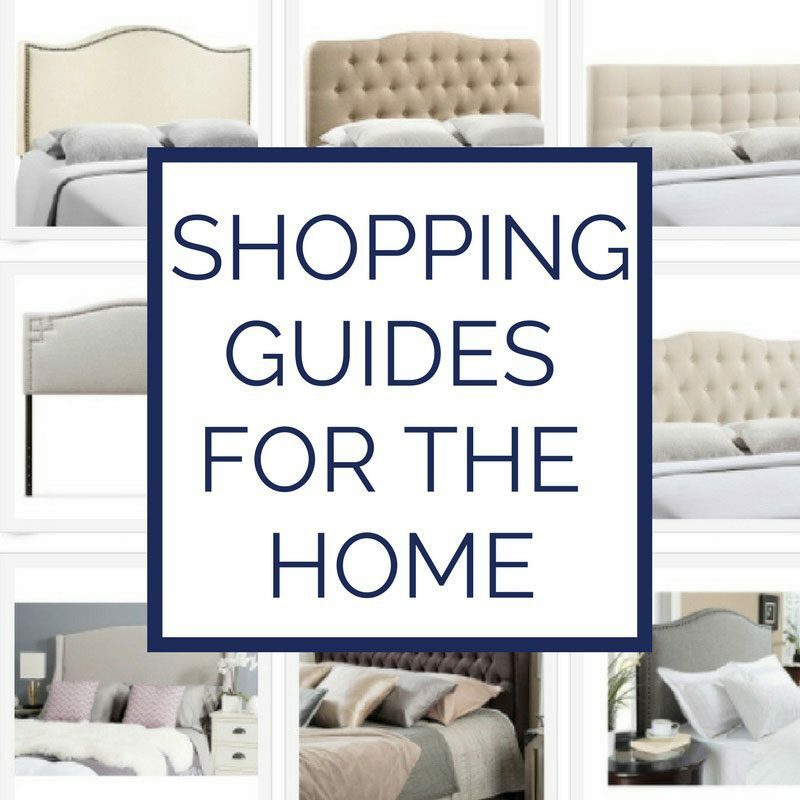 Buy the organizing supplies–if you have the tools you will make it a priority! So many years, I tried to do it on the cheap by using washi tape to label shelves. It did not work. I invested in a system, and I am in love! 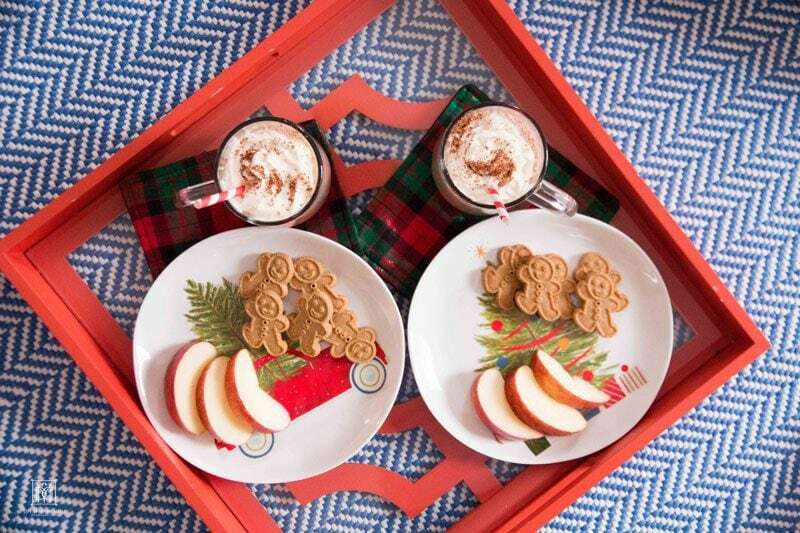 By prepping your pantry with these easy steps, you will set yourself up for a stress-free holiday season. Well, at least with regards to holiday baking! 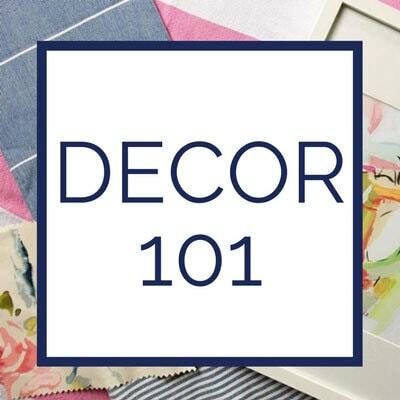 Make sure to stop back and see how we transformed our linen closet in anticipation of holiday guests tomorrow! 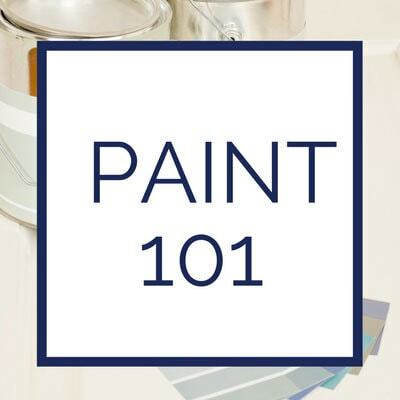 In celebration of Cyber Week, The Container Store has several amazing sales going so you can makeover your home in time for the holidays! 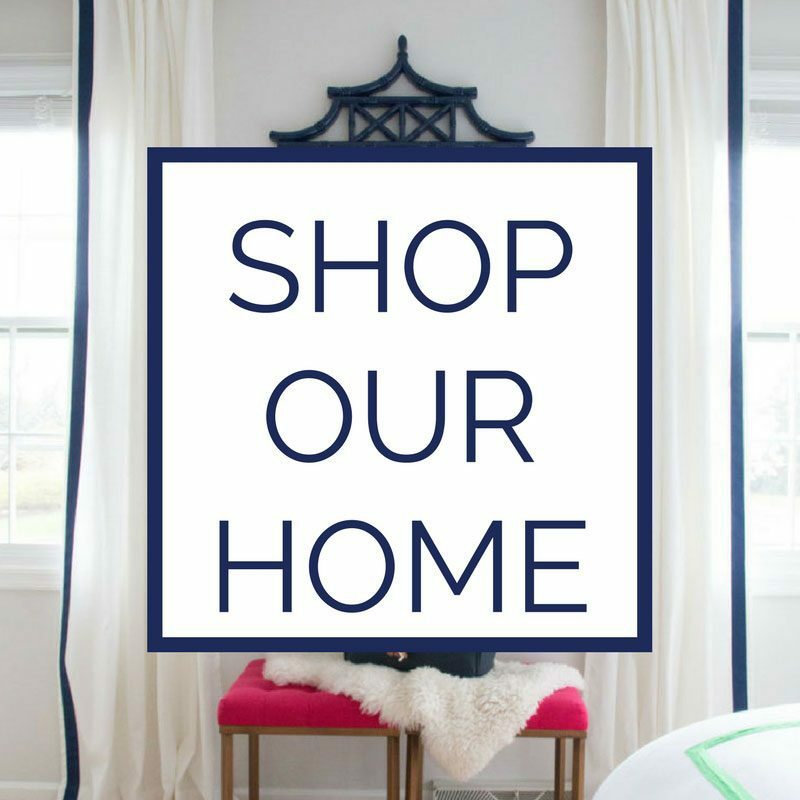 Each day, you can shop a different category from the online store at 20% off. And make sure to join the POP! Rewards Program which will get you 15% off your first order. 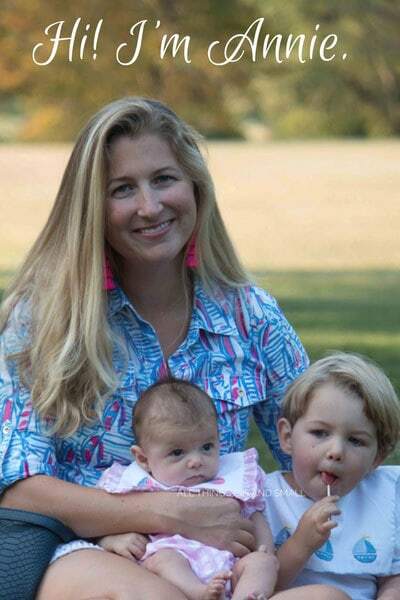 It’s a completely free reward system that is easy to register for (I did it with three kids in tow at the witching hour and it took less than one minute!) If you are a POP! Star, then you always have an electronic record of your purchases and makes returns a breeze! POP! Stars can shop a different category from the online store each day this week at 20%!